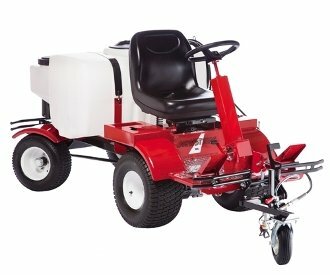 The Newstripe 4600™ SP Self-Propelled Airless Striping Machine is the self-propelled striper that will out perform other paint striping machines costing thousands more. The fully adjustable pressure pump lets you spray without wasting paint. 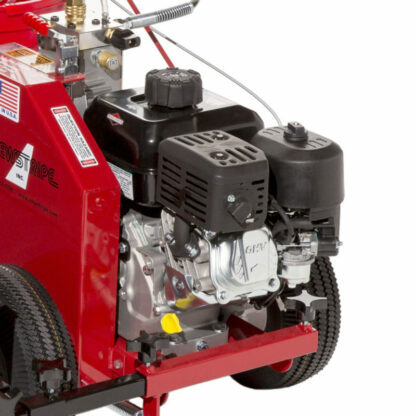 The Newstripe 4600 SP Self-Propelled Airless Striping Machine is the self-propelled line striping machine that will out perform other paint striping machines costing thousands more. The fully adjustable pressure pump lets you spray without wasting paint. Easy to use, handle mounted controls let you quickly and efficiently stripe without time consuming and costly set up. 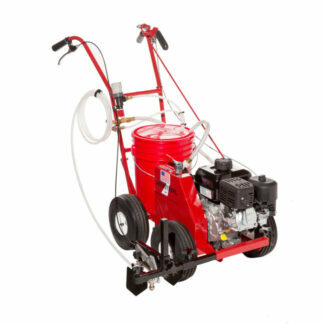 The airless pump pulls the paint directly from any standard 5-gallon pail. 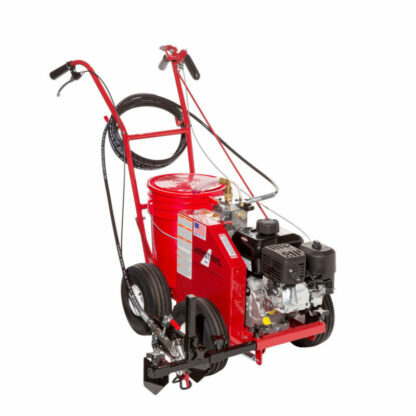 Straighter Lines – The 10 inch pneumatic balloon tires and four wheel design provides straighter lines when striping all surfaces, from smooth concrete to rough athletic fields. Brighter Lines – The fully adjustable, 0-3000 psi airless pump lets you control the perfect pressure to apply all paint, thinned or non-thinned. The result is a higher quality line without wasting paint. 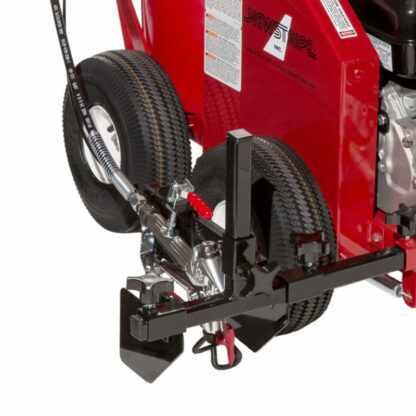 Plus, the hydraulic driven paint pump is non-pulsating so you get the best line edges possible. Say goodbye to ragged and scalloped edges common with pulsating piston pumps. No More Pushing – Get more done with less fatigue. The simple friction drives pulls the striper over uneven surfaces and up inclines making the 4600 SP the perfect paint striping machine to use all day. It`s unique, simple design is easy and inexpensive to maintain. 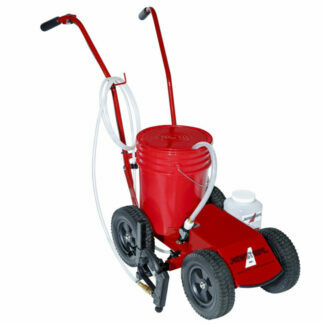 Easy To Use – The airless pump pulls the paint directly from any standard 5-gallon pail. A universal lid snaps on any pail to prevent spills. A single lever easily engages the drive, and relieves operator fatigue when striping long lines on paved area or athletic fields. Easy Cleanup – Color changes and clean up can be done in less than five minutes. Simply remove the pail with unused striping paint, place a half filled pail of water or solvent (depending on the paint being used) on the striping machine and flush the system. 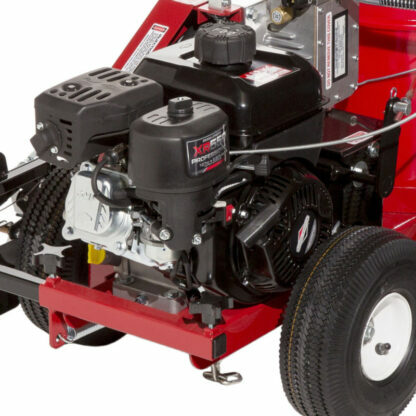 Run the liquid pump protector through the system, and your machine is ready for the next striping job. 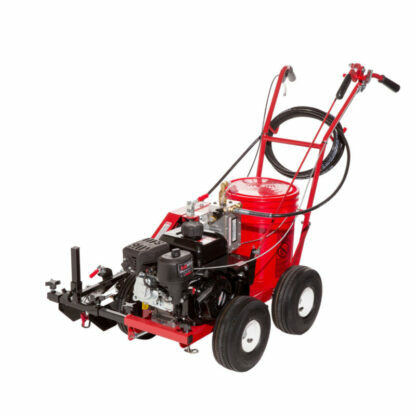 Versatile – A quick release clamp allows you to remove the spray gun to paint stencils, curbs, and hard to reach areas with a 25 foot length hose. An optional rear caster is also available to easily spray arcs and circles. And our HashMark Master II allows one person to paint hash marks 5x faster than other methods. 36 Month Limited Warranty – Like every Newstripe machine, the 4600 SP is proudly MADE IN THE USA AND covered with our Newstripe Equipment Protection plan for a full 36 months.